Woke up to more snow falling so our street is dressed in white (some more)! 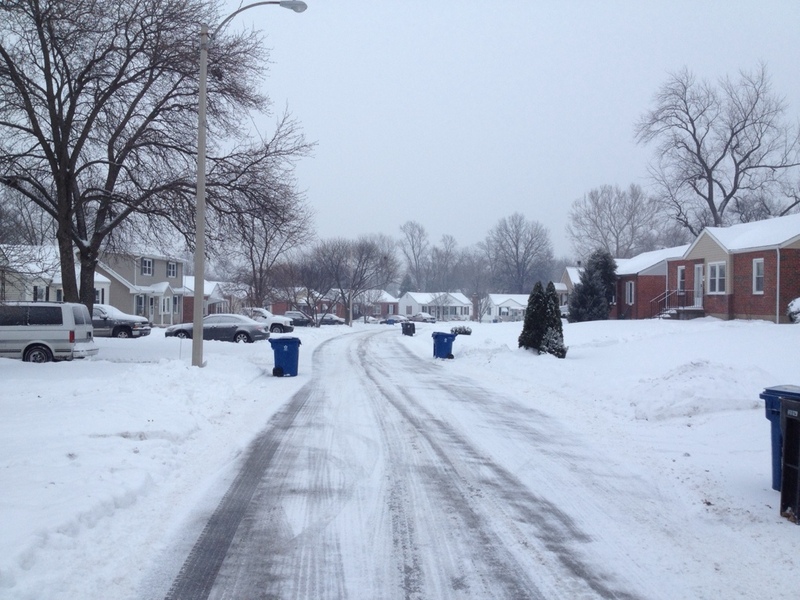 School is still late, traffic jams…late trash pick-up too as you can see from my pic. Makes me glad I live in Florida!